First, let’s talk about why some energy companies require a credit check, No Credit Check Home Electricity. 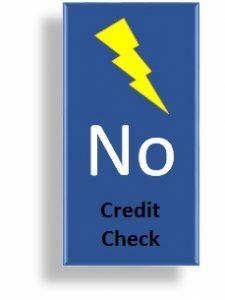 There are some energy companies that run a promotion and they may say No Credit Check Home Electricity. However, this can be only promotional and with some kind d of restrictions1. Other times, only if the area where you live will qualify because of the house income criteria. Most of the time No Credit Check Home Electricity it’s because the company is advertising prepaid home electricity. If the customer would like to go for a home electricity product and wish to have a monthly statement and pay for all the energy usage once a month. This is what I call, traditional home electricity, well a credit check will be required. The reason for this is because a customer can run a large bill and leave it unpaid and, since we care about our credit, the companies rely on good credit customers because these customers are supposed to pay their bills. Now, No Credit Check Home Electricity should be, and it is, available to anyone. 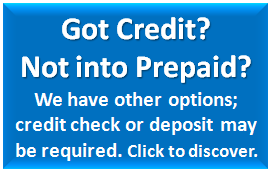 No Credit Check Home Electricity with a prepaid energy company it’s because the customer is buying the electricity in advance, before they are using it. The advantages of No Credit Check Home Electricity. The biggest advantage is that you can have your energy company switched within minutes. In an event that you are moving in to a new residence, with all the move out / move in hassle. Sometimes we forget that we need to power up our devices as soon as we get to our new home. Call in right away, I have seen services connected in less than 30 minutes. Of course, prepaid energy services will never ask for personal information like your social security number, which means, NO CREDIT CHECK. Any address; remember that you are buying your energy in advance. No contract is required, therefore you can cancel any time. If you can’t get the hang of the prepaid energy services, switch at any time. However, I strongly suggest that you try the product for at least 3 months. You will learn how to control your energy and save big time. Don’t be afraid of No Credit Check Home Electricity, it gives you the ability to control your energy usage, you can know when you are using more energy at home, so you modify your daily tasks and save on it. Follow our Power Blog, see what we do to reduce energy usage. 1Some of those restrictions could be the fine prints on the contracts; if you pay late, if you are not on “auto-pay”, if you move to a new address and break the contract, weather moratoriums, etc.